Foreclosure is never going to be an easy process to go through. When you're going through it you're most likely losing your home, losing a piece of your security and it's shocking to be having to leave the place you've lived for years. While going through foreclosure isn't an easy process, it isn't exactly an uncommon happening these days. Thousands of people are going through the same thing, and the banks are seeing a glut of foreclosed homes piling up on their ledgers. Owners of more than 14 million homes are in foreclosure, behind on their mortgages or owe more than their properties are worth, said RealtyTrac Inc., a property-data company in Irvine, California. Because of the large number of troubled mortgages on the books, some banks are now making moves to offer incentives to homeowners in order to get them to sell their properties for less than they owe before they go foreclose. Because the foreclosures have been piling up, and because foreclosures usually result in the bank losing more money, some banks are now making moves to pre-approve short sales. In the past the short sale process could take months – or longer. In addition to pre-approvals, some banks are even offering incentives and cash payments to homeowners in order to get them to sell and move. While in the past the banks may have preferred a foreclosure, now that values have dropped so much and there are so many foreclosed homes on the books, many banks want to avoid adding new ones to the books – especially when it means they'll have other holding costs associated with the properties. Banks spend an average of 348 days to foreclose in the U.S., and then another 175 days to sell the property, according to RealtyTrac. If the banks can avoid that and sell the house at a loss, they're often more than willing. While not everyone is offering cash incentives to people to do a short sale or deed in lieu of foreclosure, there are quite a few big banks doing just that. One borrower received a letter from JPMorgan offering her the chance to sell her home and get a big check. Farley, whose home construction lending business dried up after the housing crash, said the New York-based bank agreed to let her sell her San Marcos, California, home for $592,000 — about $200,000 less than what she owes. The $30,000 will cover moving costs and the rental deposit for her next home. While it's clear that not everyone will be getting large settlements, quite a few people will be getting notifications of cash incentives and debt forgiveness. JPMorgan, the biggest U.S. bank, approves about 5,000 short sales a month. It generally offers $10,000 to $35,000 in cash payments at settlement, real estate agents said. Not all of the sales include incentives. Beyond JPMorgan, some other banks like Wells Fargo, Citigroup Inc. and Ally Financial have been known to offer incentives as well. The payments are being offered in some cases as “relocation assistance” while in others people are saying that the offers are being made in order to get people to help sell the homes and keep them clean and kept up while they try to sell. Still others have criticized the banks saying that assistance is being offered in some cases where there may be faulty paperwork, as would have been covered by the recent foreclosure settlement. So how will you know if you're eligible? In many instances you'll receive a mailing from your bank telling you about pilot programs that offer incentives – which aren't available in all areas. In other cases it may pay to contact your bank and see if they have any programs that offer “relocation assistance” or debt forgiveness on a short sale. Beyond incentives from banks and mortgage companies, some people may be eligible to receive payments from the governments Home Affordable Foreclosure Alternatives program which supplies payments to servicers, investors and homeowners who complete short sales. What do you think about this news? Do you think the banks should be offering these incentives, and does it make sense for them? These past few years have been tough ones for homeowners, with home prices dropping, people finding that their homes are underwater, and foreclosure filings increasing all the time. In fact, there have been almost 2 million foreclosures so far this year! With the real estate and economic crises not having much of an end in site, this past month the Obama administration put together a $1.5 billion dollar fund to help the hardest hit states. State Housing Finance Agencies (HFAs) in Arizona, California, Florida, Michigan, and Nevada can begin to use $1.5 billion in “Hardest Hit Fund” foreclosure-prevention funding under plans approved today by the Obama Administration. This aid will support innovative local initiatives to assist struggling homeowners in those states, as part of the first round of funding available under this new program. Assist struggling homeowners with negative equity through principal reduction. Assist the unemployed or under-employed make their mortgage payments. Facilitate the settlement of second liens. Facilitate short sales and/or deeds-in-lieu of foreclosure. Assist in the payment of arrearages. Arizona will provide assistance in the form of principal reduction, interest rate reduction, and/or term extension programs with the goal of allowing borrowers to enter into a permanent modification program. In circumstances where a second lien is prohibiting modification of a first lien, the state will provide assistance toward elimination of the second lien. The state will also offer assistance to the under-employed while they seek new employment. This assistance may be used to pay monthly mortgage payments or remove second mortgages where that second lien is prohibiting the modification of a first lien. California will provide assistance to reduce principal with earned principal forgiveness. The state will also target funds to address delinquent loan arrearages. California will offer a mortgage payment subsidy to unemployed families. Provide funds to assist families that have executed a short sale or deed-in-lieu of foreclosure transition to a stable housing situation. Florida will offer up mortgage payment assistance to the unemployed and under-employed while they seek re-employment. The state will also offer principal reduction or second lien extinguishment if necessary to achieve a mortgage modification. Michigan will subsidize an unemployed borrower's mortgage payments while they search for employment. The state will assist with loan arrearages for those who can sustain homeownership and have undergone a financial hardship. The state will assist homeowners with negative equity through earned principal forgiveness. Nevada will create a mortgage modification program using a combination of forgiveness and forbearance with a goal of reducing principal to less than 115 percent of LTV (loan-to-value) and lowering payments to 31 percent of DTI (debt-to-income). The state will also offer assistance to reduce/eliminate second liens with earned forgiveness over a three-year term. Additionally, the state will provide allowances for appraisal and transaction fees, moving fees, a legal allowance for up to three months, and a combination of incentives for borrowers and servicers to facilitate short sales. More Funding For Foreclosure Programs A Good Idea? There are a lot of people that need help, but the question is, are we just throwing good money after bad by continuing these foreclosure programs? Are the programs really helping – or just prolonging the pain? In reading up on much of the “Making Home Affordable” program, I read that of the people that got help, a high percentage of them still had problems and went into foreclosure anyway. So the question is, if we aren't really helping people anyway, just prolonging the pain – why do we keep kicking the can down the road? What do you think? Should we continue providing foreclosure prevention assistance to homeowners? Are we just prolonging the pain -or is this and other programs actually going to help? Tell us your thoughts in the comments. If Your House Is Worth Less Than You Owe, Is It OK To Just Stop Paying Your Mortgage And Walk Away? Since the market collapsed back in 2008 we've seen the real estate market take a nosedive. People who bought at the height of the market (assuming that real estate would always appreciate) found themselves in a situation where their homes had dropped significantly in value. My wife and I are a part of the group who have taken a significant hit, our home value has dropped by over $40,000. Many people, especially those who bought homes without a down payment, or with a sub-prime loan are now finding that they also owe more on the home than it is currently worth. According to a report by First American Core Logic, a real-estate data firm, more than 11 million families are in “negative equity”, that is, they owe more on their home than it is worth. Thankfully we aren't underwater, but what about those people who are? What are they to do? A growing group of people are saying that for most of those people it would make complete sense to just walk away from their mortgage, stop paying, and take the credit score impact of a foreclosure. They call it a “strategic default“. My question is this. Is it OK to walk away from your mortgage if you have the money to pay, just because you're underwater and have negative equity? There are a lot of things to consider when you're thinking about walking away from your home. First of all, you need to consider the financial impact of walking away from your mortgage. So having a late payment, a short sale, foreclosure or bankruptcy can have a pretty significant impact on your credit score, and mean you'll have to improve credit score later. In any of those situations it is going to show up on your account and have pretty negative impact. What does a lower FICO score potentially mean? Absorbing a big credit-score hit can make many transactions more costly. It's not just paying more for credit card debt and auto loans, insurance can cost more as well. The average savings for someone with a good versus mediocre credit score is about $115 a year for auto insurance and $60 for home, according to Loretta Sorters, of the Insurance Information Institute. A low credit score can even make it harder to rent a home because landlords often use credit scores to weed out prospective renters. 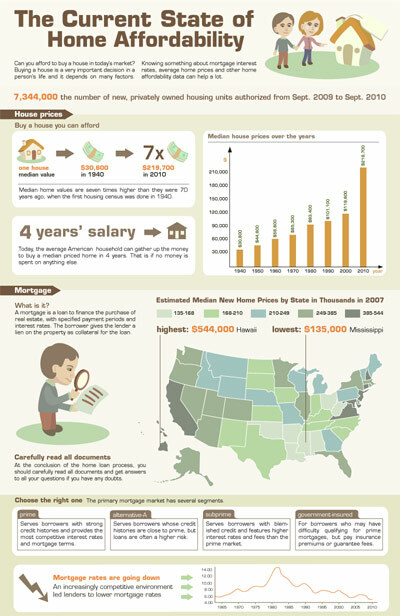 So having a foreclosure, short sale or even late payments can mean you'll end up paying more for a variety of things. Definitely a huge impact to consider when you're thinking about walking away. Moral Dilemma Or Just A Contractual Transaction? While walking away from your mortgage will obviously have a negative financial impact, especially as it relates to your credit score, this still isn't enough for many people to not consider it. There are still those who are just having a hard time making ends meet, and while they can still make the payments, they would prefer to just walk away from the hefty mortgage on their underwater home, because they don't want to lose upwards of $50-100,000 (or more) on their home value. Why take the hit when the bank can better absorb the blow? It does seem to make sense on the surface, but now we need to ask the question, is backing out of a mortgage contract an OK thing for a homeowner to do, or is it morally wrong to back out of a contract you are still able to fulfill? Personally I tend to come down on the side of paying your obligations if you're able. I like to think that a contract is something you live up to. You knew the terms of the deal when you signed up, and now you should live up to it if you can. We need to be responsible for the obligations that we've made. Others would counter that a strategic default is a legitimate option that is even spelled out in the mortgage contract, where specific ramifications of a foreclosure or short sale are spelled out for the homeowner. To exercise those options is just a a part of the legal transaction. I understand that argument, but don't agree with it. Just because the ramifications of missing payments or defaulting are spelled out in a contract, doesn't mean it is an acceptable or desirable thing to do. Also, there is nothing in the mortgage agreement that makes your continued payment contingent upon the value of the home going up! It is a risk that you take! What do you think? Should morality come into play when making a decision about a strategic default? Is it just a contractual transaction, and should we not feel bad about defaulting or going into foreclosure? Tell us what you think in the comments!